Steve and his wife Debbie knew they had found something special when they were interviewing potential contractors to build their new home. “One of them stood on the site and said, ‘I’ve been driving by this field for 20 years and always wanted to build a house right here,'” Steve relates. 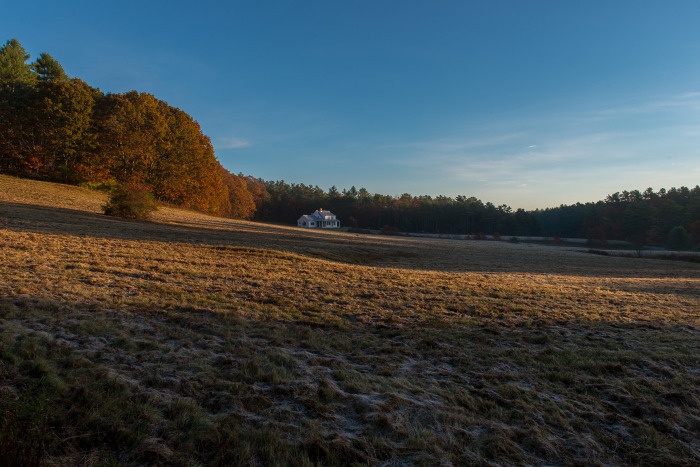 The coveted spot in Freeport, Maine, is close to downtown and is the site of their now almost-complete modern farmhouse home. 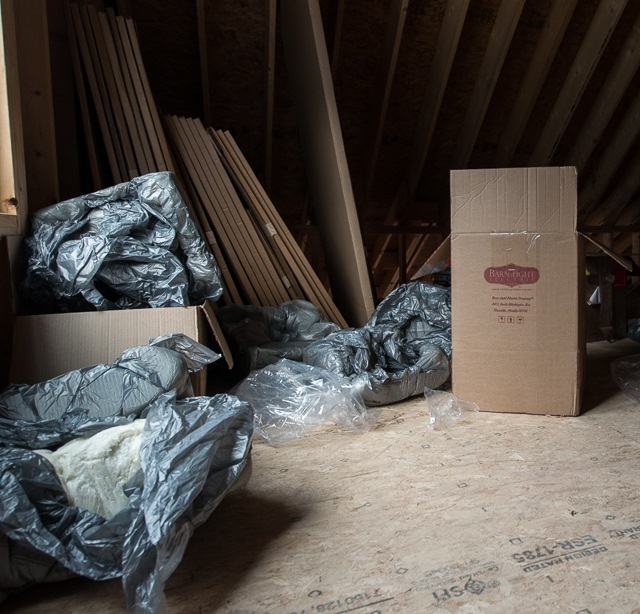 The building process is fraught with constant decision making, but for Steve and Debbie, the choice for lighting was an easy one. 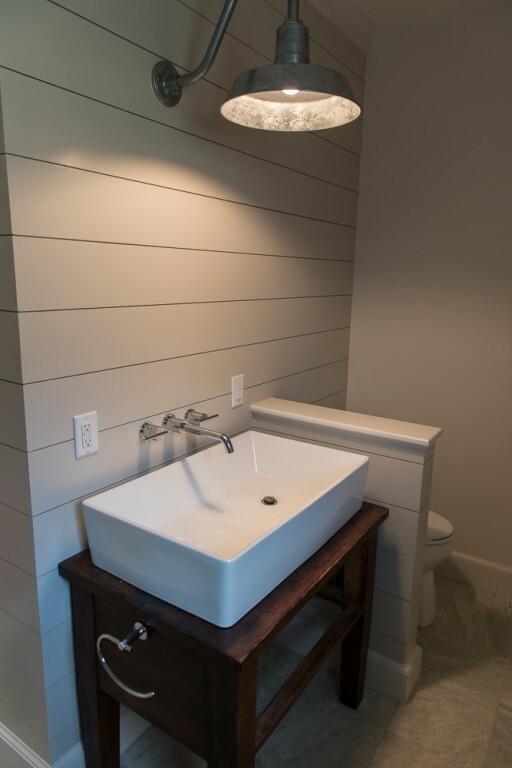 They had discovered Barn Light Electric when they worked on a previous home and knew they wanted more. Working with architect Rob Whitten and designer Krista Stokes, the couple began creating their 2,500-square-foot dream home. One of their main goals was to respect the location and build something that would fit into the historic neighborhood and not overwhelm the field. For the lighting, Steve and Debbie would pick out lights they liked then bounce their ideas off of Krista. 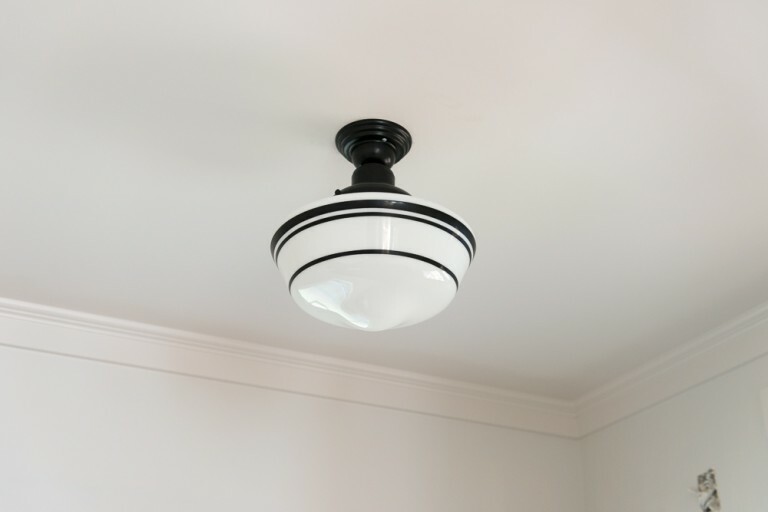 In the entryway, they chose an Intermediate Schoolhouse Semi Flush Mount Light. The design of this vintage-inspired fixture harkens back to the early 20th century when schoolhouse shades first came into fashion. But this American made light can be updated with customizing options including bands of color around the globe. Steve and Debbie chose a triple band of Black for their shade. In one of the bathrooms, a 14″ Original™ Warehouse Gooseneck Light throws plenty of light onto the vintage style trough sink. 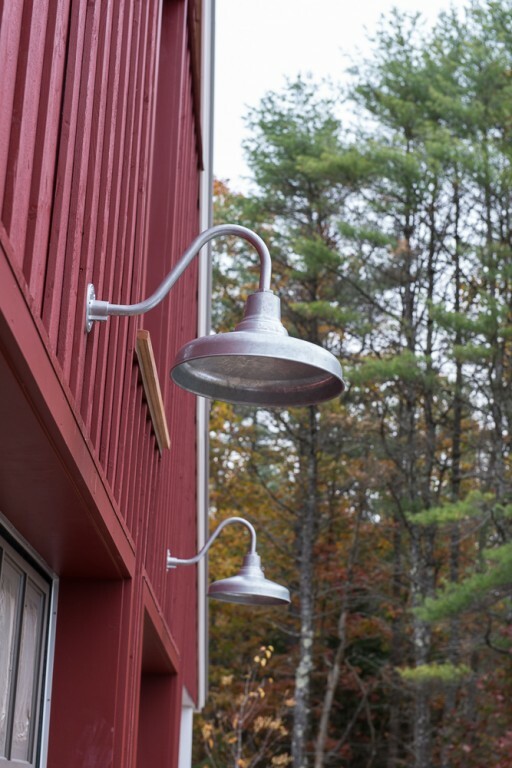 Customized with a Galvanized finish and a matching Galvanized G15 gooseneck arm, this quality, hand spun light can withstand years of use. 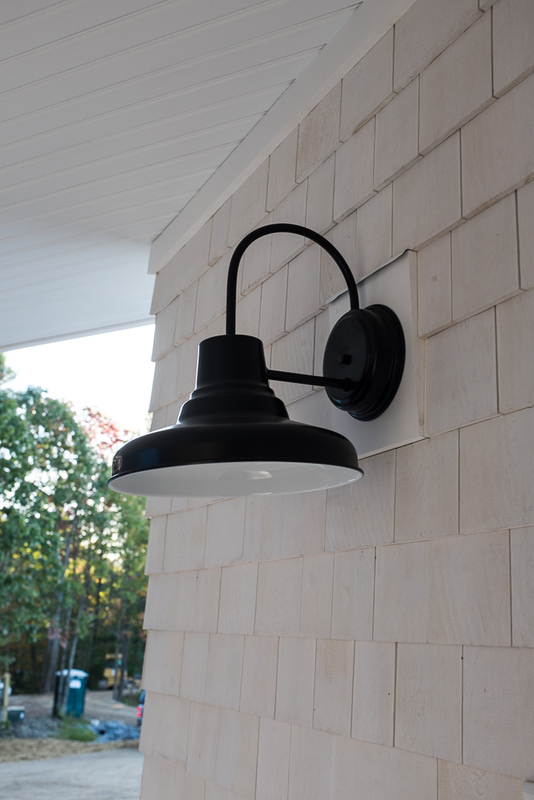 Outside on the porch, a classic barn wall sconce welcomes visitors. This 12″ Universal Wall Sconce is loaded with mid-century style with its stacked neck design and shallow warehouse shade. Krista and the couple chose a Black finish for the wall sconce to provide some contrast with the neutral facade. 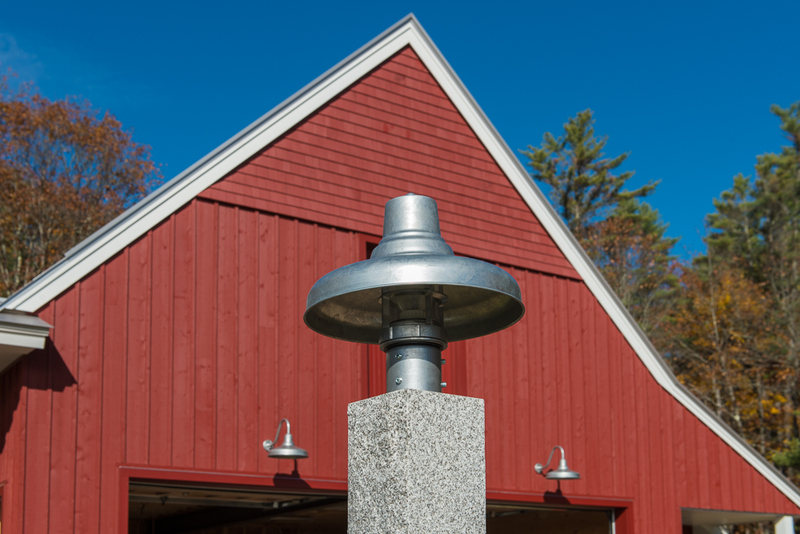 Staying within the Universal family, Steve and Debbie chose the Universal Gooseneck Light for the exterior of the garage. These 16″ warehouse shades were customized with a Galvanized finish and a G15 gooseneck arm. Adding a decorative touch to the driveway with its RLM-inspired shade is the matching Universal Industrial Guard Post Mount Light. This guard-and-glass fixture features a 14″ shade with a Galvanized finish and clear glass. And while the dust hasn’t quite settled and there are many last-minute details before Steve and Debbie will be relaxing on the porch, they are thrilled with their new lighting.